Nokia Lumia 1020 comes with 4.5-inchAMOLED display with 1280×768 resolution. The touch user interface is smooth and looks beautiful with Windows Metro UI. Nokia Lumia 1020 has 41 megapixel camera with Carl Zeiss optics, it also comes with a Xenon flash and an LED flash with 1.2 MP front camera. 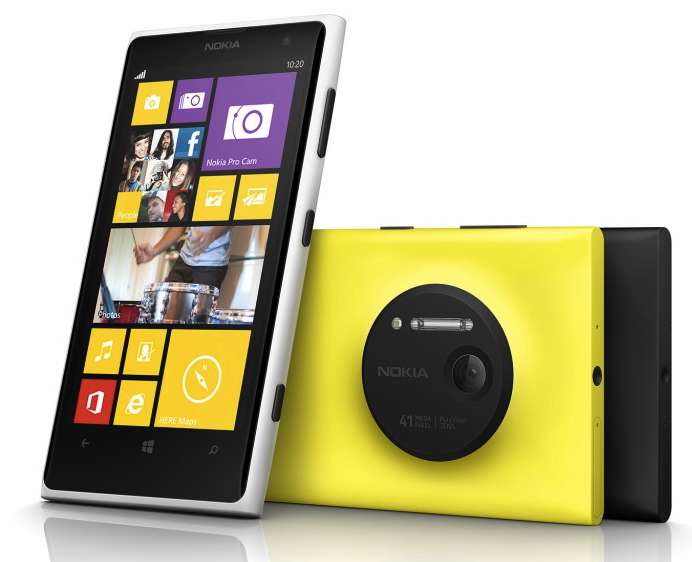 Nokia Lumia 1020 Camera comes with Pureview sensor has OIS to minimize blur, high-resolution mechanical zoom with 3x zoom. Nokia Lumia 1020 Camera comes with PureMotion HD+, ClearBlack and Sunlight Readability.camera comes with features like BSI to improve photos with a heavy light source behind the subjects. Nokia Lumia 1020 supports 3G HSPA/UMTS network, Wi-Fi, Wi-Fi hotspot, NFC, Bluetooth v3, USB 2.0, a-GPS, USB tethering, A-GPS with Google Maps, Micro USB, 3.5 mm audio jack.